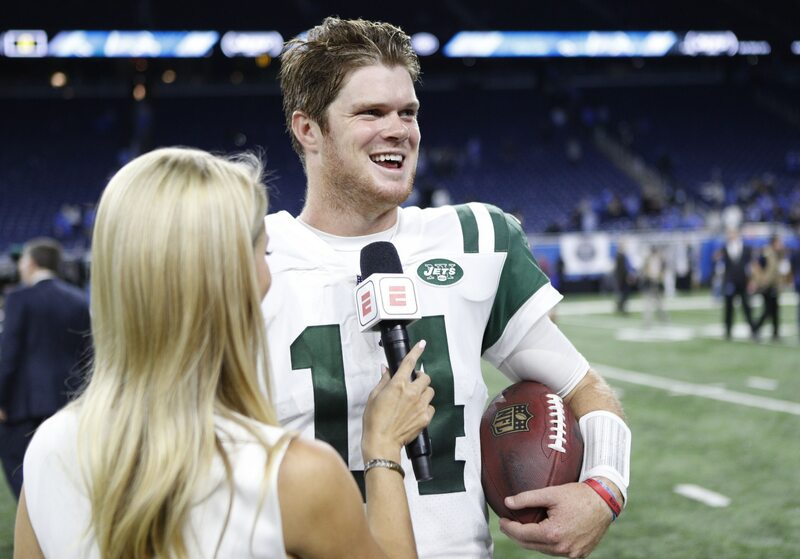 Former New York Jets great Darrelle Revis absolutely loves what he’s seen from young quarterback Sam Darnold and believes he can win a title for Gang Green. Darnold predictably struggled at times as a rookie for the Jets in 2018. He finished the season with 2,865 yards on 239-of-414 attempts (57.7 percent) with 17 touchdowns and 15 interceptions while leading New York to a 4-9 record in his 13 starts. As a rookie Darnold did show off some elite skills and came up big in some big moments (like this). So while overall his first NFL season had plenty of rough patches he certainly gave the Jets and their fans reason to be excited about the future. Of course, his future now hinges on how well he and new head coach Adam Gase can mesh, and it hinges on whether general manager Mike Maccagnan can bring in talent to surround the young passer with elite playmakers.